In good news, two of the detainees, including the young Italian father quoted below were bailed today, with the judge in one case expressing dismay at the length of time they had been held in detention designed to be for people about to be removed. The 19 year old who has been detained for 18 and a half months has just told The London Economic that he had seen a doctor at last today. He had swallowed a razor blade on Sunday night in desperation and says he has been in agony and throwing up blood since then. After an intervention by lawyers, a doctor from outside the detention centre finally saw him, 54 hours after he had passed out swallowing a razor blade. The detainee has been told arrangements are being made for him to go to hospital. In deperation he had called an ambulance yesterday which was turned back, as detention centres sometimes do. Over a dozen other detainees were still confined to their wing 23 hours a day while they are being dispersed to other detention centres after their protest. 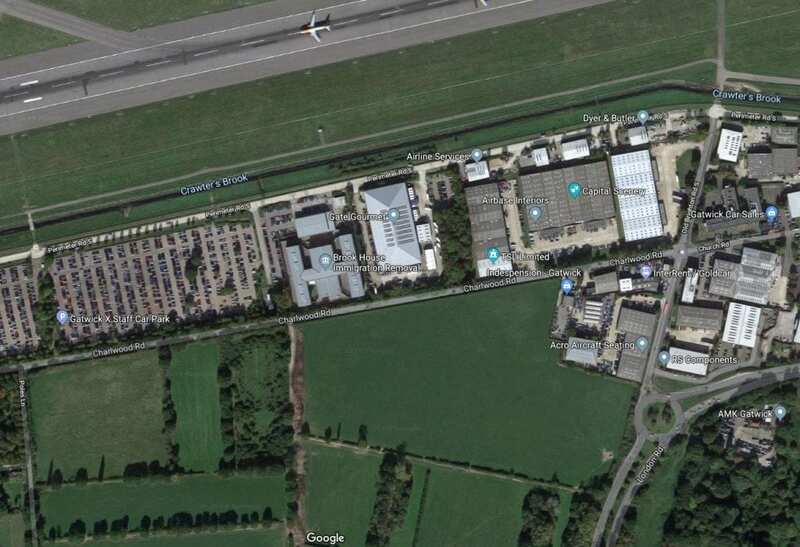 Yesterday a damning report by Her Majesty’s Prison Inspectorate found a trebling of self-harm incidents at nearby Colnbrook detention centre near Heathrow. The report found Colnbrook “unsuitable for a detainee population” to be “held for long periods” by Home Secretary Sajid Javid for administrative grounds. Scandal-hit Brook House Immigration Removal Centre where detainees are held indefinitely for months by the Home Office despite recomendations has been the scene of protests for two days running this weekend. The detainees we spoke to say there have been two serious self-harm attempts in a 24-hour period. Inmates say the desperate acts occurred amid protests at the length of incarceration of inmates on purely immigration grounds, and the toll that and the conditions at the G4S-run center take on people’s mental health. One man is reported to have attempted to hang himself in his cell and was taken in the early hours of Monday morning to the healthcare unit in the centre run to the security standards of a Category B prison by private security contractor G4S. And as protests wound down on Monday, with other detainees threatening to jump from balconies and safety netting to the ground and harm themselves, news emerged that another detainee had attempted to swallow razor blades. The detainee, just 19 years old came to the UK as a baby, aged 1. Others detained at the centre near Gatwick Airport confirm he has been languishing in the Immigration Removal Centre for 18 and a half months. This morning he called an ambulance himself as staff had not taken him to hospital. His mental health has deteriorated during his continuous incarceration for administrative reasons by the Home Office. The detainee who was on suicide watch was seen being taken from his cell unconscious after threatening to swallow razor blades. Last night he said he was cold without a duvet or blanket as he was on suicide watch. We overheard on his phone the callous treatment he received when he complained. 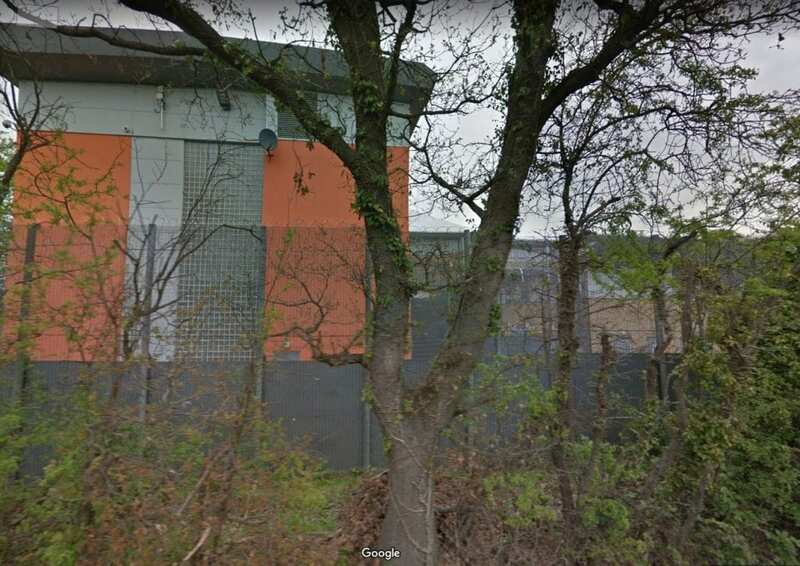 National Crime Agency police officers were called to the detention centre after detainees including those with cuts from repeated self-harm threatened to cut themselves and jump from railings and the netting designed to stop suicide attempts. “There are 30 or 40 protesting on the landing, protesting. Some are threatening to jump off . “They are threatening to self-harm. “There are three people standing on top of the sprung netting that stops people falling to the ground. One guy has a razor in his hand. The 21-year-old said his fellow detainees were demonstrating as “people are frustrated at how the Home Office have dealt with people illegally and not treated us like humans. 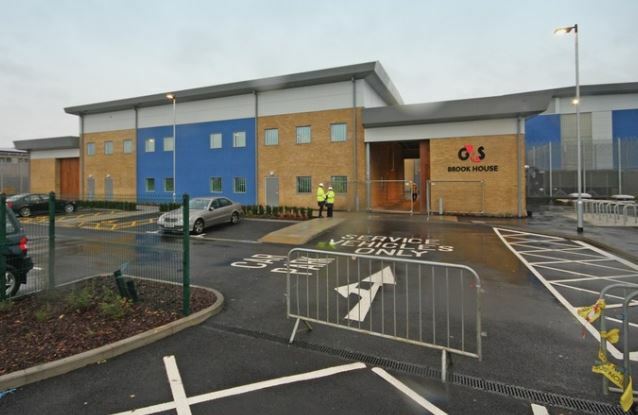 The report commissioned by G4S found the centre had been short-staffed, officers badly trained and violence among detainees incarcerated for long periods with little to do. Yet detainees are still being held at Brook House for over a year. “Some detainees have been victims of violence, torture and other traumatic events. Many detainees at Brook House have mental health issues,” the report said. Such vulnerable people should not be detained by the Home Office in removal centres according to the Home Office’s own rules. Last month the Home Affairs Committee found that the Home Office has “utterly failed” to ensure the safety of people held in Britain’s immigration detention centres. MPs on the influential committee warned of “serious problems” in almost every part of Britain’s immigration detention system. It accused the Home Office of having a “shockingly cavalier attitude,” failing to prevent “unlawful detention” of vulnerable people or protect their needs. The damning report called for a 28-day limit, saying it is “unacceptable” that people can still be detained indefinitely at the Home Office’s whim, some for years. The committee carried out their report after a young guard at Brook House was so shocked by the chaos, violence and abuse he witnessed that he filmed undercover for BBC Panorama, capturing staff physically and verbally abusing detainees. And Brook House faces another inquiry by the prisons ombudsman. The Home Office has not responded yet to requests for a comment. Karen Doyle of Movement For Justice who support immigration detainees had been talking to detainees too at Brook House. She said: “several of the detainees we’ve spoken to talk about a detainee who tried to hang himself on Sunday night and two attempted suicides in the past week. The Home Office maintains that people detained by them are held for removal and it is against their rules to hold people indefinitely. But that flies in the face of evidence of some detainees being held for months and years – though most are held for weeks. Also the damning Shaw report into detention found over half of detainees are ultimately released back into the community, raising questions about not only the human cost to people’s health, but the cost to taxpayers of pointless lengthy periods of detention. According to the Home Office’s figures, keeping people in immigration detention cost the taxpayer £108 million in the year ending 31 March 2018. The UK is the only country in Europe with no statutory time limit on detention.